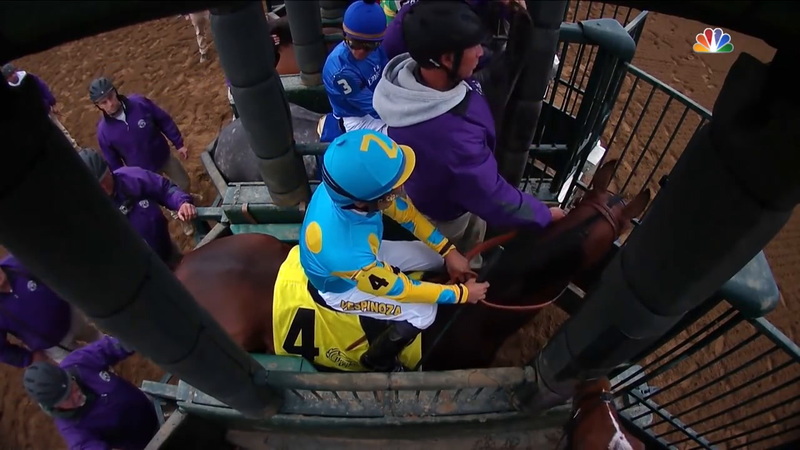 In 2015, the Thoroughbred racing season is best remembered by just two words: American Pharoah. A majestic 3-year-old with a fluid and graceful stride the likes of which had not been seen in a generation, American Pharoah became racing’s first Triple Crown winner since Affirmed in 1978. To top it off, he concluded his career by becoming the first horse to win horse racing’s Grand Slam of the Kentucky Derby, the Preakness, the Belmont Stakes, and the Breeders’ Cup Classic all in the same year. Owned by Zayat Stables of Ahmed Zayat and his son and racing manager, Justin, and trained by Bob Baffert, American Pharaoh showed incredible potential in his 2-year-old season. After finishing fifth in his first start, American Pharoah broke his maiden in the Del Mar Futurity in September under jockey Victor Espinoza, and won the 1 1/16 mile FrontRunner in late September at Santa Anita by a seemingly effortless 3 ¼ lengths. But fortunes turned sour just five days before the Sentient Jet Breeders’ Cup Juvenile for the son of Pioneerof the Nile, when it was discovered that he had developed a deep bruise in his left front foot and had to be rested for the remainder of the year. 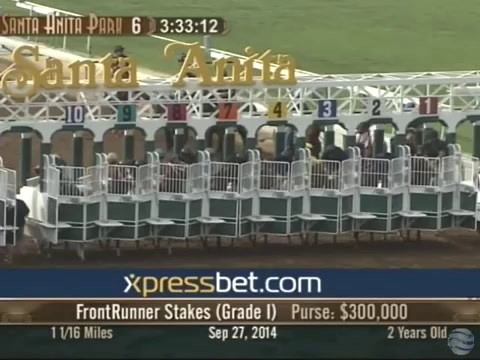 “I've had horses withdrawn before races but this one has to be the most disappointing,” said a crestfallen Baffert. ”We all saw how he was training and he's something special. I haven't had a colt like this in a long time.” Over the winter, American Pharoah was voted the Eclipse Award as Champion 2-year-old Male of 2015. After he recovered from his injury, American Pharoah was readied for two Kentucky Derby prep races in Arkansas. He won the Rebel Stakes in the mud on March 14, and then a month later, captured the Arkansas Derby by eight lengths. As the 3-1 favorite, American Pharoah fought hard to win the Kentucky Derby by a length over Firing Line. He rolled to a win on a muddy track in the Preakness. Three weeks later, he went to the front in the 1 ½ mile Belmont Stakes and strode home a triumphant 5 ½ lengths to become racing’s 12th Triple Crown winner. That landmark performance landed him on the cover of Sports Illustrated. He returned to the races in August and won the Haskell Invitational at Monmouth to gain a “Win And You’re In” berth into the Classic. He was defeated in a gutsy performance by Keen Ice in the Travers at Saratoga, and was subsequently rested eight weeks for the Breeders' Cup Classic. Fresh and fit, American Pharoah gave a performance for the ages at Keeneland in his final start, this time against older horses. Starting from the No. 4 post, he broke alertly and moved to front, widening his margin at every pole to prevail by 6 ½ lengths in track record time of 2:00.07, and became the first horse to win the Grand Slam. "He gave everyone what they came to see today," said Baffert afterward. "I've never seen anything like him, I've never trained anything like him. I'm just glad Pharoah goes out the champ he is." American Pharoah won nine of 11 career starts. He was seven of eight in 2016 and earned $8,288,800, the most money ever won by a racehorse in a single season in North America. His Breeders’ Cup Classic performance earned him the No. 1 spot on the 2016 IFHA Longines World’s Best Racehorse with a 134 rating. Two days after the Classic, American Pharoah was vanned to Coolmore’s Ashford Stud, where he would begin his stallion career in 2016 at $200,000 per mating. In January of 2016, American Pharoah was named the 2015 champion 3-year-old and Horse of Year by the Eclipse Award voters.